European medical professionals from the 15th through the early 19th centuries treated the De Medicina “On Medicine” by the ancient Roman encyclopediast Aulus Cornelius Celsus (fl. 30 CE) as a standard medical reference equivalent to the works of Hippocrates and Galen. Celsus’ stylish Latin text with its detailed clinical and surgical instructions found wide readership over the early modern period among notable practitioners, from the Florentine surgeon Antonio Benivieni (1443-1502) to Giovanni Battista Morgagni (1682-1771), professor of anatomy at Padua. 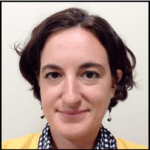 This lecture considers how Benivieni and Morgagni put Celsus’ De Medicina to work in medical ethics, in identifications of syphilis, and in specific surgical interventions. The University of Iowa History of Medicine Society invites you to attend the first talk of the semester. speaking on: Dr. Helkiah Crooke (1576-1648): The Historical and Literary Legacy of an Early Modern Physician. 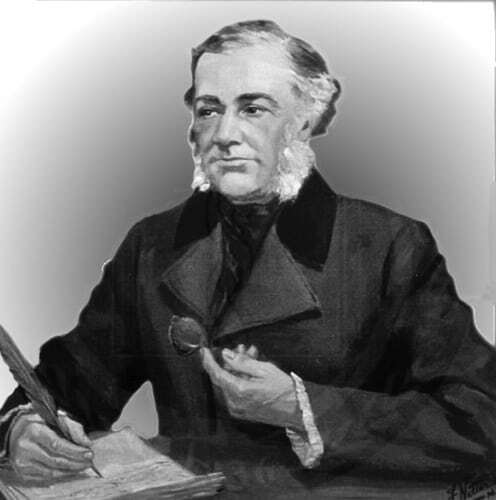 Dr. Helkiah Crooke wrote the first comprehensive English anatomy manual. His book, Mikrokosmographia, was printed by William Jaggard, who also published Shakespeare’s First Folio. 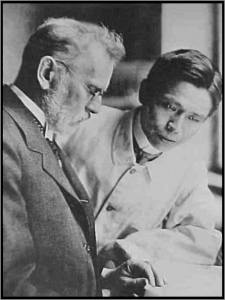 But both Crooke’s and Jaggard’s careers were endangered by their decision to produce this controversial text, which made detailed medical knowledge available to the general public. A close examination of Crooke’s career as an author and physician provides insight into shifting views on medical authority at a crucial point in the history of Western medicine. JOHANNES DRYANDER (ca. 1500-1560). Anatomiae. Marburg: Apud Eucharium Ceruicornum, 1537. Dryander (also known as Eichmann), professor of surgery at Marburg, was a friend of Vesalius and among the first anatomists who made illustrations after their own dissections. This Anatomiae appeared six years before Vesalius’ great work. 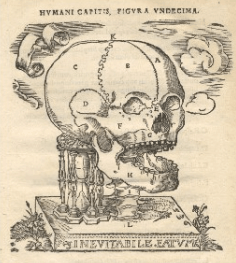 This was the first significant book on the anatomy of the head and contains 20 full-page woodcuts made from Dryander’s own dissections. Sixteen of the plates are of the head and brain and were done to show successive stages of dissection. The first eleven plates appeared earlier in his Anatomia capitis humani (1536) and the remaining four plates of the chest and lungs were added as an appendix. You may view this book in the John Martin Rare Book Room, Hardin Library for the Health Sciences. Make a gift to the Hardin Library for the Health Sciences by donating online or setting up a recurring gift with The University of Iowa Foundation. Sahachiro Hata, working in Paul Erlich’s laboratory in 1908, discovered the arsenic compound arsphenamine (later known as Salvarsan), which was the first effective treatment for syphilis. The disease, which is transmitted either sexually or congenitally, begins as a superficial affliction but can lead to serious complications including seizures, aneurysms, and deformation in its later stages. 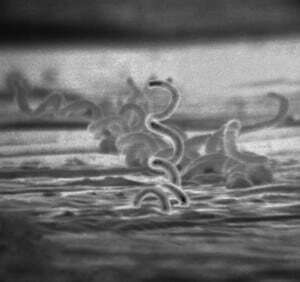 Syphilis has haunted global history and culture for centuries. Scientists debate its arrival in the Americas, with the greatest evidence supporting the Colombian hypothesis arguing that Christopher Columbus’ crewmen brought syphilis back with them from the Americas. Several famous historical figures including Franz Schubert are thought to have contracted the disease. It has been treated in art by Albrecht Dürer and in the femme fatale (“poison woman”) literature of 19th century writers such as John Keats. It was the subject of questionable ethical practices in the Tuskegee syphilis study of 1932. 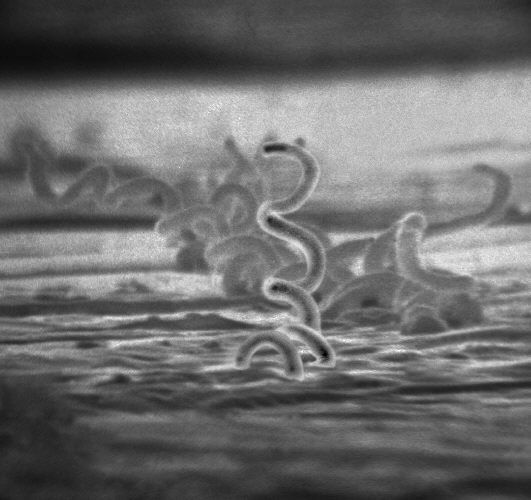 Treponema pallidum (pictured), the bacterium which causes syphilis, was not discovered until 1905. This discovery paved the way for Hata’s cure. The disease currently affects an estimated 12 million people with 90% of those cases being in the developing world. Since penicillin became widely available in the 1940s, syphilis can be treated effectively with antibiotics. Images: treponema pallidum; Dürer’s “Syphilitic Man” (1496); bust of deformation in a patient with gummatous syphilis; Hata and Ehrlich. The Hague: Ex oficina Samuelis Brown, 1651. [Image via Fisher Library Digital Collections, University of Toronto]. Nathaniel Highmore of Dorset, England was a British surgeon known for his 1651 treatise on anatomy, the first of its kind to give an accurate account of the circulatory system. Highmore studied at Oxford beginning in 1631, after which he practiced at Sherborne in Dorset. Corporis, the best-known of his several works, is divided into three sections corresponding to the abdomen, thorax, and head. Although the plates, drawn in the style of Vesalius, echo those of an earlier period, Highmore was responsible for a number of important advances. 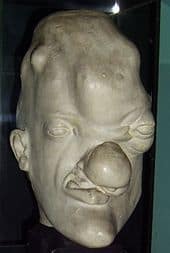 The most noteworthy of these are his descriptions of the sinus maxillaris (the largest nasal cavity, then known as the antrum of Highmore) and the mediastinum testes (the septum dividing the scrotum, or Highmore’s body). 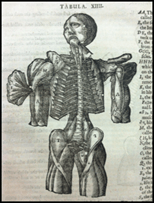 To learn more about medical history, visit the John Martin Rare Book Room website. Get to know Curator Donna Hirst at Iowa Now. RICHARD BRIGHT (1789-1858) and THOMAS ADDISON (1793-1860). Elements of the practice of medicine. London: Longman, Orme, Brown, Green, and Longmans, 1839. Elements lists over sixty diseases and conditions and includes a lucid account of their histories, causes, prognoses, diagnoses, and treatments. Though the style is dated, the descriptions of the diseases excel in accuracy and conciseness. Originally issued in three parts from 1836 to 1839, the work is bound in a single volume. The intended second volume was never published. Hardin has digitized 17 images from the book. See them here. Text adapted from Donna Hirst, Curator, John Martin Rare Book Room. 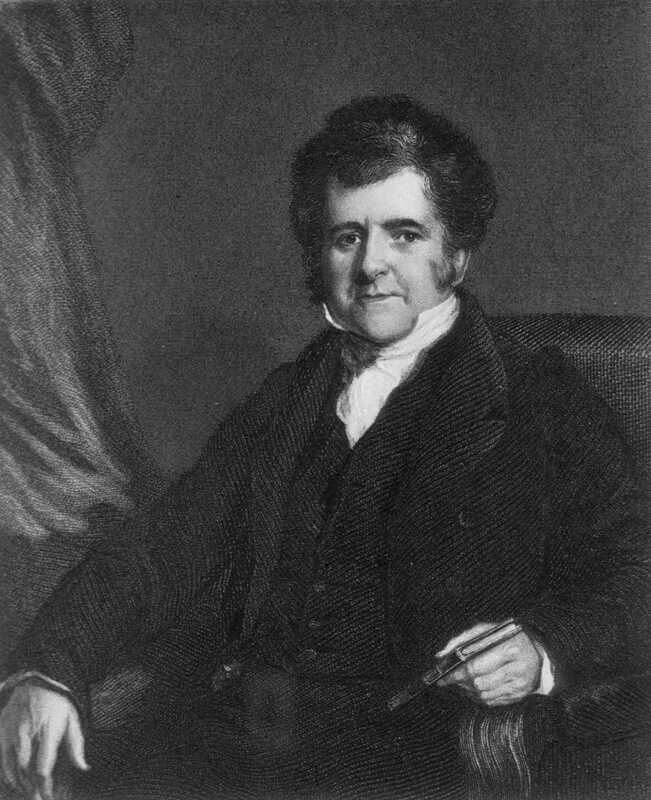 Images: Respectively, Richard Bright, Thomas Addison. Credits: Wikimedia, prlog.org. Nicholas P. Rossi, Emeritus Professor, Department of Cardiothoracic Surgery, University of Iowa College of Medicine. 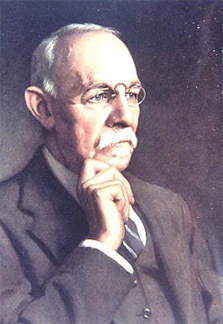 Rossi will provide a fascinating look at the life and medical achievements of William Stewart Halsted, considered the father of modern American surgery. Attend this lecture to learn how the major preceding events of Halsted’s time and character ushered in one of the great eras of modern medicine. This event will be held on Thursday, February 27 from 5:30-6:30 pm in Room 401 at Hardin Library for the Health Sciences. Find out more here or contact the Rare Book Room with questions at 335-9154 or by emailing donna-hirst@uiowa.edu. Want to know more about this fascinating figure? 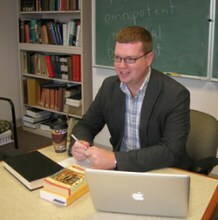 Read about Halsted at Hopkins Medicine or see his documentary.